Sony invited a group of Japanese press to its offices to check out upcoming PS Vita game Gravity Rush. These types of tours can start to blur into each other, with game developers giving the press the hard sell. But this tour had something I'd never seen before: whiteboard drawings! 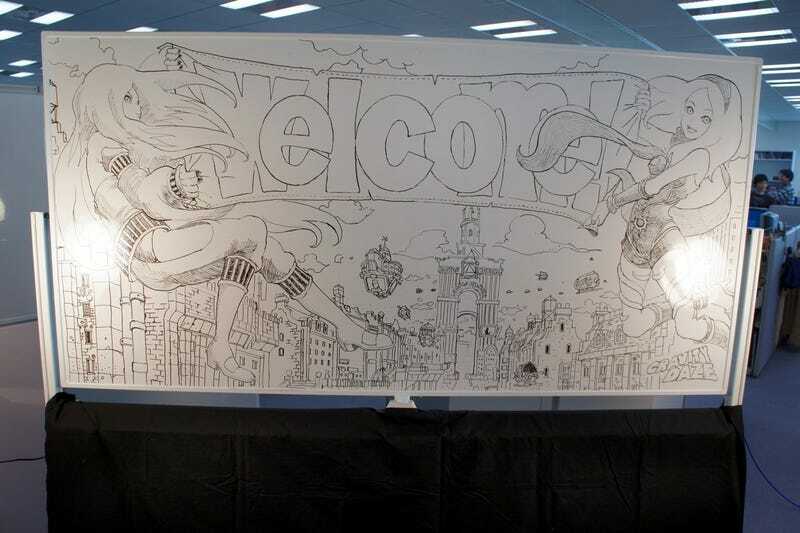 The game creators created these stunning whiteboard illustrations to welcome the press. Just look! Beautiful. Sadly, the drawings were erased at the end of the day, and the whiteboards were wiped clean. Gravity Rush, or Gravity Daze as it's called in Japan, will be released in The Land of the Rising Sun on Feb. 9. Keiichiro Toyama, creator of Silent Hill, is the game's Creative Director.